The Arizona Office of Tourism expects over 100,000 travelers to visit Arizona during Super Bowl week. Along with the Super Bowl, the Waste Management Phoenix Open is being played. So, you have great golf and the Super Bowl packed into one week. The question most visitors have is, “What is there to do in Arizona?” If you’ve got a couple extra days during your visit, we recommend that you get out and enjoy what Arizona has to offer. Arizona is know for it’s urban hikes. Phoenix is known as the Valley of the Sun and you’ll find a few mini-mountains right in the middle of the metro area. Our two favorite hikes are Camelback Mountain and Piewesta (Squaw) Peak. You’ll find the local hardbodies all over these two mountains. Be prepared as they are not easy hikes. In fact, they’re like one long stair master. Out-of-towner’s love these hikes too. According to the Wall Street Journal, Katy Perry, this year’s Super Bowl entertainer, has hiked Camelback. If you decide to hike Camelback or Piewesta Peak, make sure you plan ahead. You’ll need water and good hiking shoes. You’ll also need a place to park as these are very popular hiking spots and parking is difficult to find. Take your camera. The views from the top are awesome. In just under two hours, you can drive from metro-Phoenix to Sedona. Sedona is famous for its’ red rocks and quirky, vortex, new age atmosphere. Take I-17 north and follow the signs to Sedona. 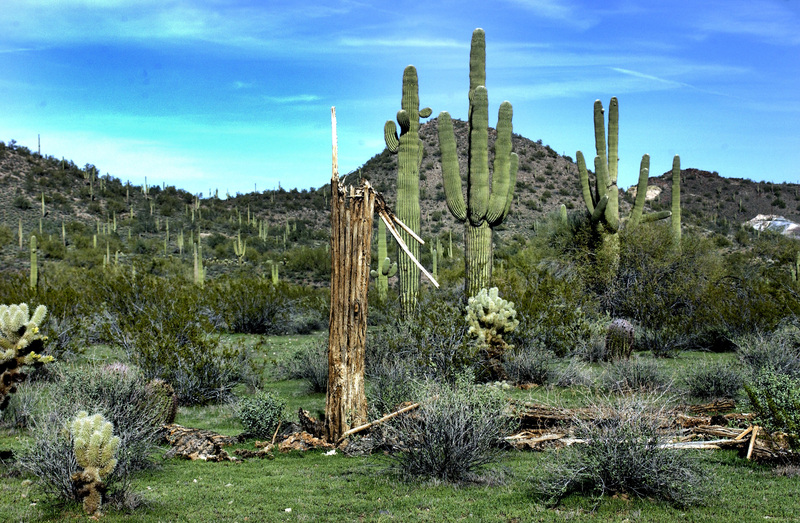 You’ll enjoy the drive on the way up as you’ll go through the Sonoran desert, famous for it’s huge Saguaro cactus. Stop at the information area just outside of Sedona and pick up a map of there area. The helpful staff there can show you where the most popular and spectacular views are. You’ll need to buy a Red Rock pass to park in the different view areas. Make sure to allow enough time to eat at one of the many restaurants and to shop at Tlaquepaque and the other shopping areas around town. This day trip will take some time. Head on up to Williams, Arizona….just hang a left at Flagstaff. It’s the gateway to the Grand Canyon. You’ll need 4 hours each way. It’s a long drive but the payoff is worth it. The Grand Canyon National Park is one of the most visited parks on the planet. You’ll understand why when you get there. The vistas are awe inspiring and always changing. The cloud formations cast shadows on the canyon and create and ever changing view. This needs to be on your bucket list. Take a pair of good hiking shoes and water if you plan to hike down the Kaibab or Bright Angel Trail. Remember, it takes twice as long to hike back up as it does to hike down the trail. Visit the shops and eat at the restaurants on the rim. You’ll find great t-shirts and other souvenir items at the shops. Arizona is a state where people get outside! These are just 3 of the great areas you can visit and enjoy the Arizona scenery. What did we leave out? What are your top 3 things to do in Arizona? Scroll down this page and leave your comments.